I am a pharmacologist interested primarily on the mechanism of action of drugs on the Brain-Gut axis. I have been working on mechanisms of the emetic reflex for over twenty-five years and now apply this knowledge back to degenerative diseases such as Alzheimer's disease and Parkinson's disease. The Laboratory has an international composition and we have worked with over 20 pharmaceutical companies on drug discovery projects. We apply state-of-the-art technology to advance our understanding of drug and disease mechanisms. We believe that collaboration and teamwork are important ingredients of successful research. The School of Biomedical Sciences was formed in June, 2009 from the amalgamation of staff from the Departments of Anatomy, Biochemistry, Physiology and Pharmacology. Our group belongs to the new Cancer Biology and Experimental Therapeutics Theme, with an older affiliation to the Neuro-degeneration, -development and Repair Theme. 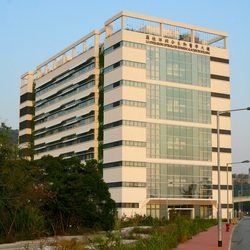 We are located in a purpose built facility on the main campus of the Chinese University of Hong Kong (CUHK). In addition to an interest in drug discovery, I also teach the mechanism of action of drugs in disease to medicine and pharmacy students enrolled at CUHK. I also have a number of administrative roles within the University.